Mike has been licensed to practice law since 1986 and his practice emphasizes real estate transactions, land use/zoning, alternative dispute resolution and litigation. A significant part of his practice involves waterfront properties and aquatic lands. He is a certified mediator and arbitrator and has served as a court-appointed referee and expert witness on real estate matters. Prior to joining Helsell Fetterman, Mike practiced in his own firm for 20 years and represented the Realtor® organization to local, state and federal legislative bodies. In that capacity, he has had a hand in the drafting of many major pieces of real estate-related legislation. 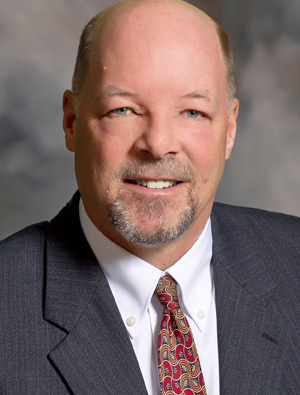 Mike studied planning and economics at the University of Wisconsin and worked as a Planner and in the Title Insurance industry before becoming licensed to practice law. Because of this combination of experience, Mike was invited to Shanghai, China to consult with Chinese housing and land use officials on real estate matters, and he subsequently took a one-year leave of absence from his former firm to serve as Lead Attorney for a United States Agency for International Development (USAID) and World Bank-sponsored land reform project in the former Soviet Republic of Moldova. Mike is passionate about real estate education, and has been a licensed as a real estate law instructor for 31 years. In that time, he has taught hundreds of real estate law classes to thousands of residential and commercial real estate brokers throughout Washington. He is a frequent speaker on real estate topics in print and electronic media throughout the region. In 2009 he was elected to the Bainbridge Island School Board and served as its President from 2012 – 2014. Mike is a part owner of the Green Bay Packers.